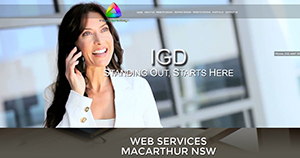 Our websites are being used by companies of all sizes throughout the Campbelltown and Macarthur region, Narellan, Ingleburn, Leumeah, Bradbury businesses of all sizes from businesses run from home to shops and factories to large corporations now in the area. 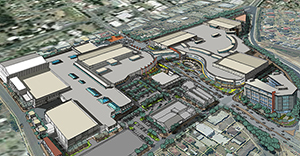 As a Narellan (or local) business you are very fortunate to be in such an expanding area but you need to be a few steps ahead of your competitors and also those similar or the same businesses that could and will move in to our area. We at Image (IGD) have been fortunate enough to be an integral part of some wonderful start up businesses that we have seen expand internationally and also globally and they still call and rely on us to be part of their online and print marketing. Image Graphic and Website Design and Development started back in 2001. We have now grown to over 15 staff and are responsible for some of the most amazing websites locally, interstate and overseas. You will find our websites throughout Bali Villas and Resorts and now in Dubai and Thailand. There are a few reasons we have grown in to what we are today and it has been because we care how our customers appear and how they rank. All designs are fresh and designed to suit you, your business and or products. Whether it is for Print or a new Website. Your website wont work unless it is designed and developed properly. Having a cheapy or free website just wont cut it today in this market. Search engines frown on multi used websites and a template site is in the same category. We don’t just design a website we are very much in to the development of new sites, we are responsible for Online Shopping Carts, OTA’s (Online Travel Agents), Customised websites for specific purposes for an Industry or Demographic. There is nothing we cannot do, we plan and work with every customer to achieve the best online results possible. What sort of site is this? Our website is known as Cinellax. It is a combination of Cinematic Footage and what is known as Parallax which gives the impression of 2D due to the top layer moving at a quicker rate than the bottom layer. Cinellax is only available through Image Websites and Graphic Design Studio and apart from engaging with the customer as soon as it hits the screen, it engages with the viewer instantly keeping them on the page to find out more about you. We also design Parallax and all our websites are what is known as Responsive Websites, meaning they resize to suit the application being it Smart TV, Tablets or Smart Phones so the viewer gets a different experience with your site and it can be viewed easily for all browsers. We have created hundreds of websites and designs over the years, obviously we can’t show them all so below are just a few of our most recent works.